new level then this book is for you! felting to a whole new level. 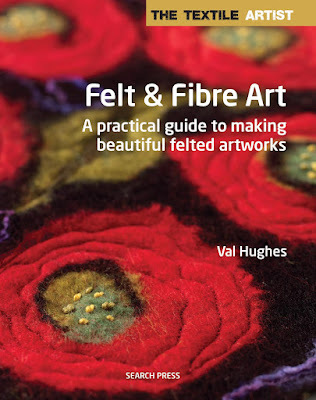 needle felting & free machine embroidery. There is so much information packed in the book. you can use to make different affects. I love her use of colour combinations. The affects she creates are amazing. or she made them into garments. I love the beauty of the projects. The techniques give such a soft and beautiful look. You really do get to learn so much from this book.